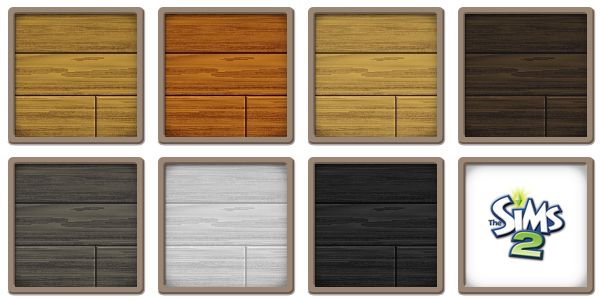 Wood Panel floors in a range of finishes. 7 floors included with this set. Hope you enjoy. Snapping these up because I have a weakness for wood floors and these look good, thank you.